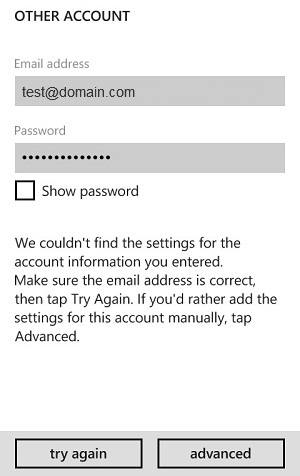 Home/Knowledge Base/Email/How to set up your email account on Windows phone? 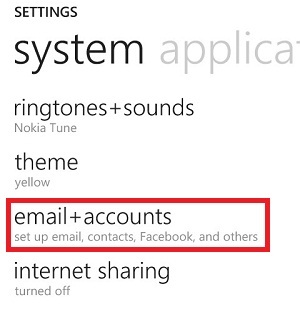 How to set up your email account on Windows phone? 1. On Start, flick left to the App list, tap Settings, then tap Email + accounts. 2. Tap Add an account > Other account. 3. Tap the Email address box, then type your full Vodien email address. Under the Password box type in your email password. 4. Tap Sign in. If the settings aren’t found after trying again, tap Advanced and then enter the settings manually. 5. 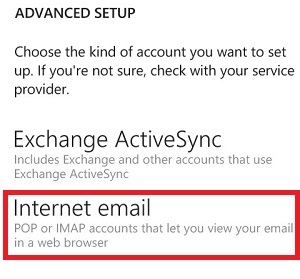 In Advanced Setup, choose Internet email account. Account name – This is the account name that will appear on your phone. Your name – This is the name that will appear for the email messages that you send from this account. 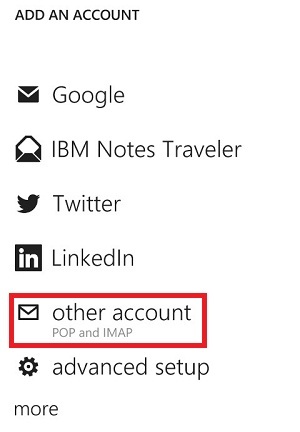 Account type – Tap POP3 or IMAP4. Username – Type your email address. Password – Type your email password. Outgoing server requires authentication – check or Verify that the setting is correct. 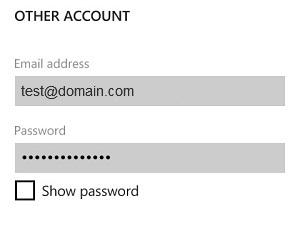 Use the same username and password for sending emails – check or Verify that the setting is correct. 3. Tap Advanced settings, verify that the following settings are checked. Require SSL for incoming email – check or Verify that the setting is correct. Require SSL for outgoing email – check or Verify that the setting is correct. Choose your download settings, then tap Sign in. 3. Tap your full Vodien Email address box, then type your email address. Under the Password box, type in your email password. 5. In Advanced Setup, tap Internet email account. 3. Tap Advanced settings, verify that all settings are correct, choose your download settings, then tap Sign in. You can access email using Windows Mobile phone by following the guide below. You have completed the setup process. Watch your email flow in.